La Paz is known for sightseeing, nature, trails, historic sites, and museums. Your plan includes some of its best attractions: explore the ancient world of Tiwanaku, make a trip to Calle Sagarnaga, take in the dramatic natural features at Valle de la Luna, and admire the striking features of Iglesia de San Francisco. For reviews, photos, ratings, and more tourist information, go to the La Paz itinerary planner. If you are flying in from Iceland, the closest major airport is El Alto International Airport. 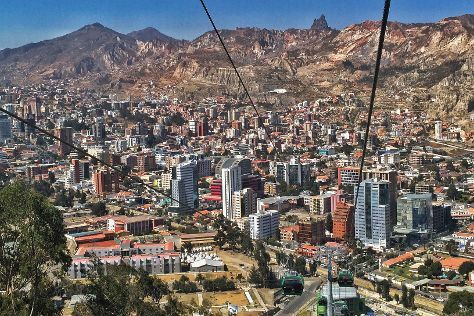 February in La Paz sees daily highs of 16°C and lows of 4°C at night. Wrap up your sightseeing on the 18th (Sat) early enough to travel back home.